Provo, Ut. : FARMS, Brigham Young University, 2001, 501 pages in 2 parts. This volume is currently not available online. The print version may be purchased here. 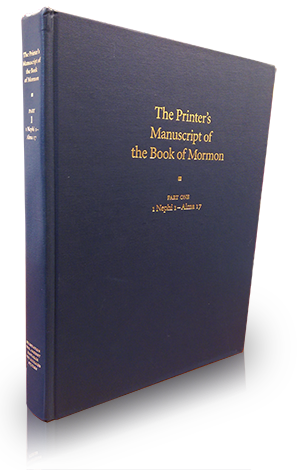 The original manuscript of the Book of Mormon was copied to a printer’s manuscript in order to prepare it for publication. 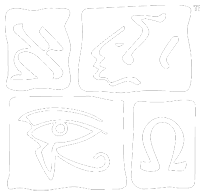 Only 28 percent of the original manuscript has survived, but the handwritten printer’s manuscript is virtually 100 percent extant. Volume two presents an exact typographic reproduction of the printer’s manuscript is presented in two parts. Volume two also includes color and ultraviolet photographs of select parts of the manuscripts (including what is considered the oldest existing sample of Joseph Smith’s handwriting) and a history and physical description of the manuscripts.